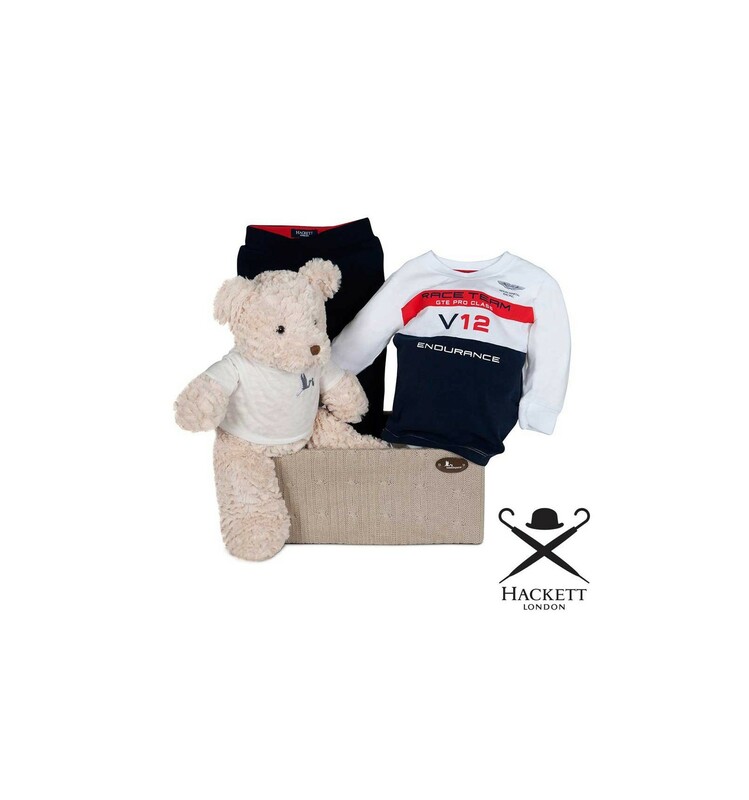 Two great brands of the British lifestyle together in this baby hamper featuring sporty style and trend. A perfect new baby gift for those brave little ones. Hackett Baby Aston Martin T-shirt. White, navy blue and red. Aston Martin racing detail print. Composition: 100% cotton. Size: 12M. Aston Martin Baby joggers. Navy blue with elasticated waistband and side pockets. Composition: 100% cotton. Size: 12M. White teddy bear. Composition: 100% polyester. Measures 42 cm. Presented in exclusive wool knit basket with plaited cable pattern and decoration. All bebedeparis gifts include greeting card as well as new baby welcome card with baby's name. In case of punctual unavailability of an article, it will be replaced for another of equal or higher value. If you have any doubts please contact us.